This completely customizable gift allows your special someone to create their Legacy Bracelet with her own personal flair. The cost of one bracelet is $76.90, including tax and shipping. The cost of two bracelets, including tax and shipping, with the multiple bracelet discount is $138.08. If you’d like to give a Legacy Bracelet to a special someone in your life, but would rather give her the freedom to design it herself, then this is a great option. Choose from several different price points, or choose your own! 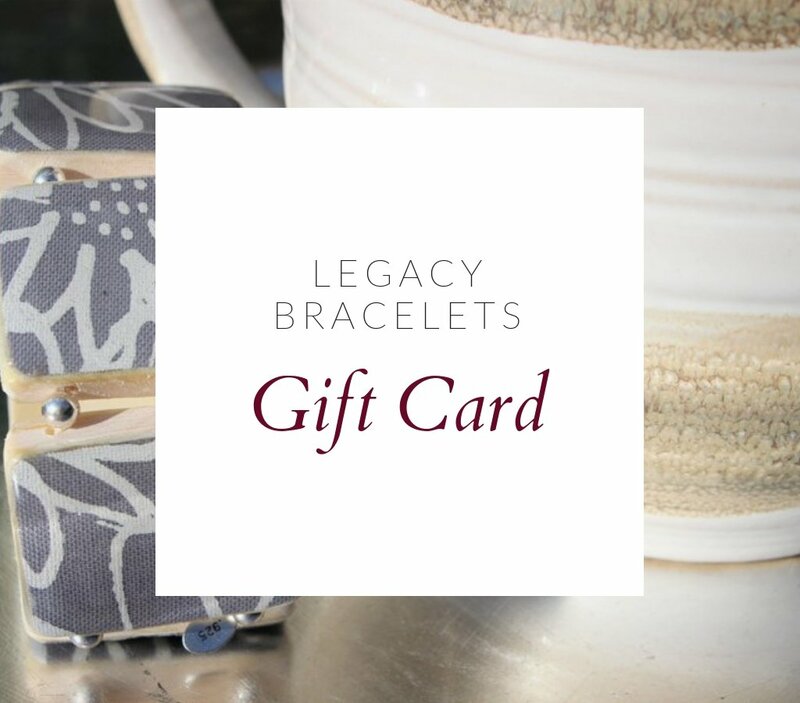 The gift card will be emailed to the recipient with the gift card code, which she can use to create her own personalized Legacy Bracelet. Questions? Please contact us!